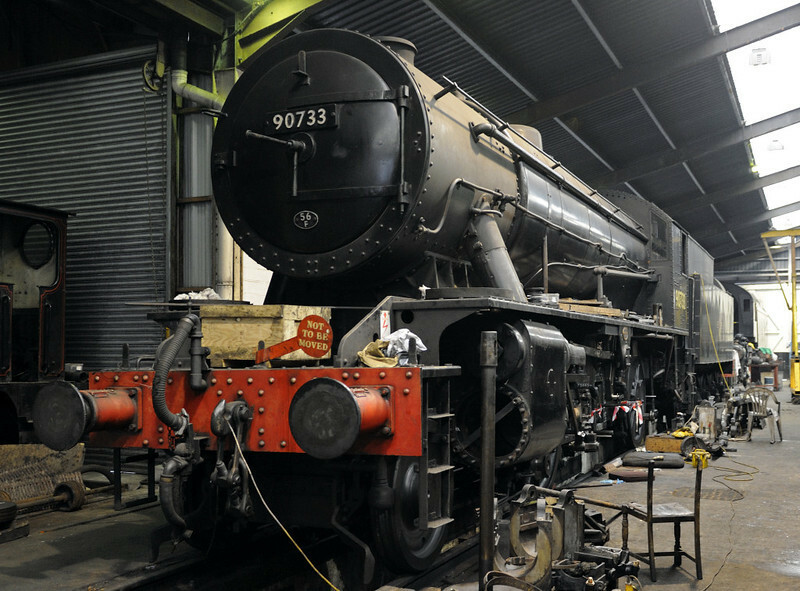 '90733', Haworth, Fri 10 February 2012 1. War Department 2-8-0 shipped to the Netherlands after D Day and subsequently sold to Sweden from where it was purchased. Now numbered at the end of the BR sequence, which finished with 90732. (All BR examples were scrapped.) Recently returned to traffic after overhaul, it has sufferd a number of hotboxes and has been withdrawn for further attention.